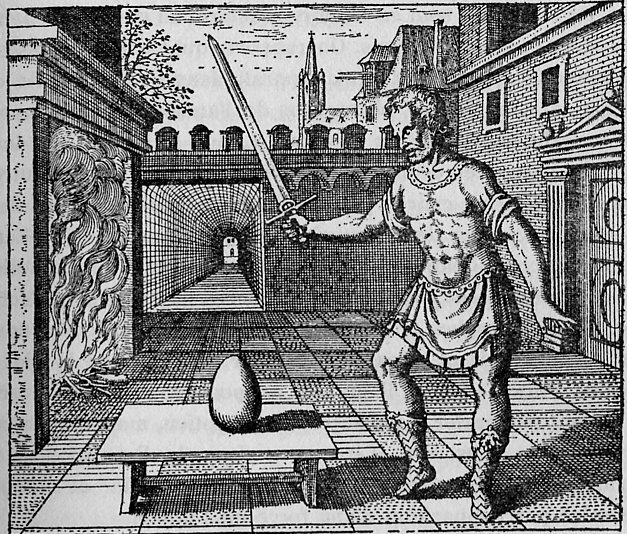 Metaphysics is the branch of philosophy that addresses questions about the most general and fundamental nature of reality. 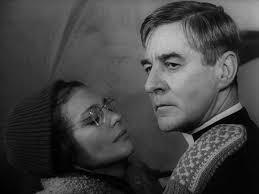 Thus Bergman’s trilogy appears to slowly yet radically reduce the real presence of God in the lives of his characters. 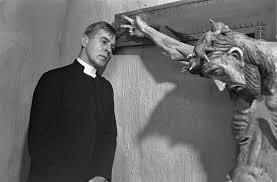 And this reduction, which mirrors Bergman’s own religious crisis and turn to atheism, offers us profound insights into God, our relation to God, and, especially, love and its negation. In the first post (see here) of this series we considered “Through a Glass Darkly” in which the love from God – or the love between humans that is God – can emerge even out of absolute despair to heal various forms of human alienation and illness. Things are not so optimistic when we turn to “Winter Light” (1963) in which faith in God and love is “unmasked” as something far more problematic. But these problems begin the reduction and offer interesting philosophical insights. 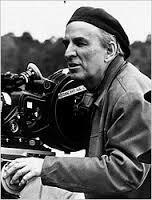 All screenplay quotations, which can differ slightly from the films and their various translations, will be from the book Three Films by Ingmar Bergman, translated by Paul Britten Austin (New York: Grove Press, 1967). 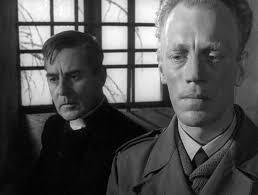 Early in the film we encounter an ill pastor, Tomas (played by Gunnar Björnstrand), who tries to console a suicidal member of his small country parish named Jonas (played by Max Von Sydow). Jonas has been obsessed with thoughts about the Chinese obtaining and using atomic bombs. At first Tomas tells Jonas that “we all go with the same dread – more or less” and that “we must trust in God”. However, he admits that God often “becomes so remote” making him “helpless” as far as helping Jonas is concerned. The two men agree to talk more later that day. In the second discussion Tomas, who by this point has a high fever and has been pondering God’s silence in the face of human suffering, confesses to Jonas that he doesn’t believe in God at all. 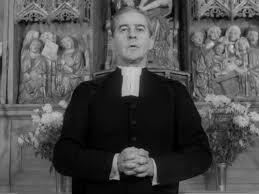 He explains how he became a pastor to please his pious parents and was able to use his belief in God to overlook many of life’s atrocities – including those of the Spanish Civil War – for quite some time. 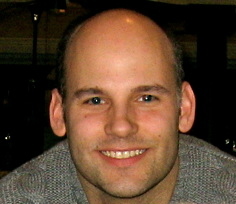 But after his wife died he has been plagued with doubt and now thinks he is praying to an “echo-god” who, despite giving “benign answers and reassuring blessings” for so long, now appears to be, in the face of human suffering, an ugly and revolting “spider god – a monster.” In his self-absorped confession he goes so far as to ask Jonas for help: “I want you to see what a poor sort of human being, what a bankrupt wretch it is, who’s sitting before you. I’m not a priest. I’m a beggar who needs your help!” Jonas is clearly disturbed by this reversal. But Tomas goes on to offer some consolation after all: if God doesn’t exist then human suffering becomes explicable. Presumably Tomas means that without God we no longer have to remain puzzled by the problem of evil: why, if God is all good, all knowing, and all powerful, is there evil at all or, at least, so much evil? We could just turn to some psychological and/or neurological account of evil to relieve our cognitive dissonance. Tomas concludes: “We’ve given gifts to each other, haven’t we? You’ve given me your fear and I’ve given you a god I’ve killed”. Tomas, now overwhelmed by his illness, puts his head and arms on the table. When he looks up, Jonas has disappeared without a trace. Tomas moans “God, my God, why have you abandoned me?” He falls on his knees and, upon rising, says to a crucifix: “No. God does not exist any more. I am free now. At last, free.” But this freedom, it turns out, comes with a high price of guilt: Jonas immediately went off and shot himself. Let’s pause to see how Bergman’s reduction is proceeding. In “Through a Glass Darkly” we saw that David tried to commit suicide in his car. But his attempt, unlike Jonas’, was thwarted and a profound sense of God’s love emerged from his abysmal despair. Rather than atheism and death we had theism and life. But now, in the cold winter light, we seem to have a partial unmasking: is not faith some form of pretense? Delusion? Some form of psychological escape? Some lie? What hides behind the mask of faith? And could it be that the spider god of “Through a Glass Darkly”, which was presumably a schizophrenic delusion, is real after all? Does God hide in the dark and emerge only to torment and kill that which he traps in his web of human misery? We also saw how there is an intimate relationship between divine and human love in “Through a Glass Darkly”: the love of God David experiences after his suicide attempt enables him to overcome the difficulties he was having with his son. 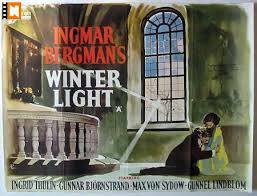 Thus we shouldn’t be surprised that “Winter Light” tries to unmask the reality of human love as well. Let’s continue with this aspect of the reduction. He then tells Märta, in light of Tomas’ cruel remarks, to “Get out while you can.” Märta, in despair, kneels and says a quasi-prayer: “If only I could lead him out of his emptiness, away from his lie-god. If we could dare to show each other tenderness. If we could believe in a truth…If we could believe…” But this is a prayer to an “echo-god” since Märta appears to be an atheist talking to herself. At this point Bergman’s metaphysical reduction is certainly underway: the reality of both divine and human love is being removed revealing an emptiness out of which love is not emerging. Algot: The passion of Christ, his suffering… Wouldn’t you say the focus on his suffering is all wrong? Tomas: What do you mean? Algot: This emphasis on physical pain. It couldn’t have been all that bad. It may sound presumptuous of me – but in my humble way, I’ve suffered as much physical pain as Jesus. And his torments were rather brief. Lasting some four hours, I gather? I feel that he was tormented far worse on another level. Maybe I’ve got it all wrong. But just think of Gethsemane, Vicar. Christ’s disciples fell asleep. They hadn’t understood the meaning of the last supper, or anything. And when the servants of the law appeared, they ran away. And Peter denied him. Christ had known his disciples for three years. They’d lived together day in and day out – but they never grasped what he meant. They abandoned him, to the last man. And he was left alone. That must have been painful. Realizing that no one understands. To be abandoned when you need someone to rely on – that must be excruciatingly painful. But the worse was yet to come. When Jesus was nailed to the cross – and hung there in torment – he cried out – ‘God, my God! Why hast thou forsaken me?’ He cried out as loud as he could. He thought that his heavenly father had abandoned him. He believed everything he’d ever preached was a lie. The moments before he died, Christ was seized by doubt. Surely that must have been his greatest hardship? God’s silence. We are left with some questions: could it be that Tomas sees that the silence of God he has experienced, far from being inconsistent with Christianity, is actually a crucial part of it? Perhaps the part that opens the space for the atonement, namely, God’s experience of human suffering and our experience of God through our loving response to human suffering? In “Through a Glass Darkly” we saw how David claimed that God’s love included all forms of love as well as the denial of love. Could it be that Tomas’ denial of Märta’s love shows us that love is indeed a reality there to be denied? Could it be that his repulsion is a challenge to respond to her as Christ did to the sick? Could it be that the denials, cruelties, and failures of the film actually hide the presence of God? Perhaps a presence more akin to the harsh winter light rather than the warm summer light of “Through a Glass Darkly”? Tomas spoke the words: “All the earth is full of his glory.” Does this “all” include even suicides, sickness, and spiders? Vilgot Sjöman: I gather that you’re extremely careful as regards the theme too in this new film: You don’t supply any new God image? 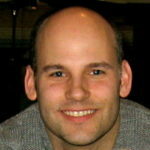 Bergman: No, you couldn’t say that. But the drama – the actual passion – is not enacted in the main character, Thomas, but in Märta, the nonbeliever. She who bears within herself the seed of a new god image; who has the possibilities of life within her and in time hands these over to Thomas” (The Ingmar Bergman Archives, p. 291). But if “Winter Light” leaves us with some form of limited hope then it is precisely this hope which must be reduced further in the last film of the trilogy, “The Silence”. I will explore this ominous reduction in part three of my series (go here).